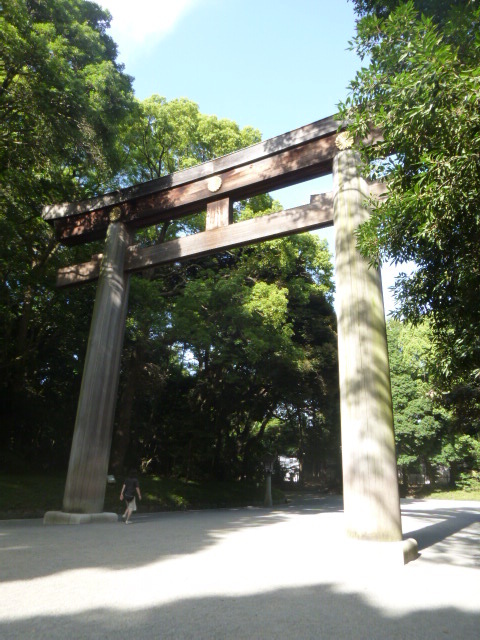 Emperor Meiji passed away on 30th July 1912. 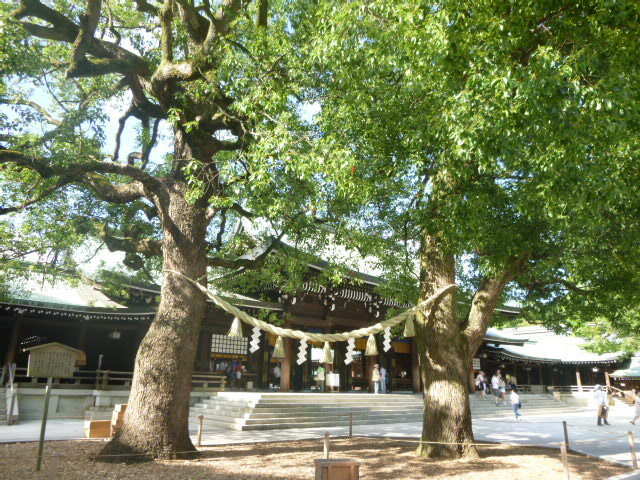 Meiji Jingu,a shrine of national prayer for peace and prosperity was built as a result of combined effortsof al the Japanese to commemorate his virtues.The shrine building was lost by fire during the last war,but was reconstructed in 1958,being supported by all loyal Japanese.The feelings of reverence and yearning of the people for the Emperor and Empress are ever increasing. 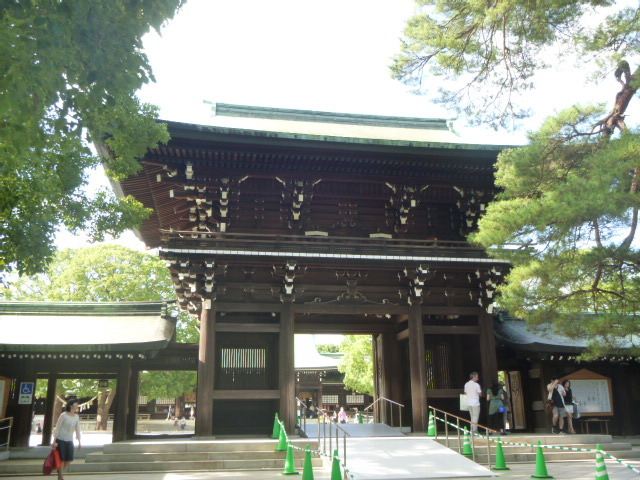 This is a building aiming at prayer supported by donations from worshippers all over the country in 1993. 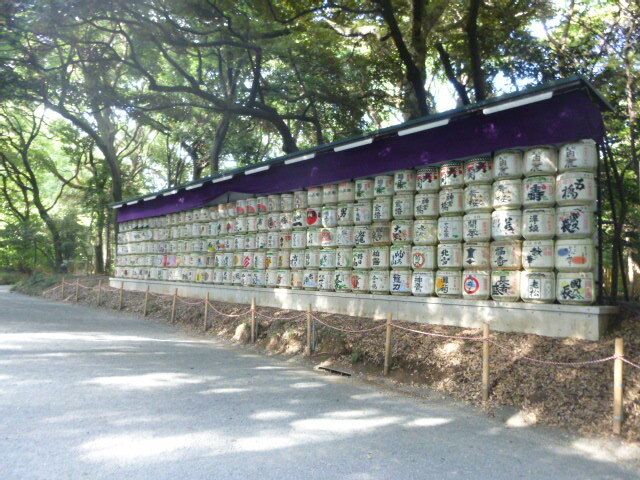 Various articles used by Emperor Meiji and Empress Shoken are displayed and help remind the visitors of their virtunes. 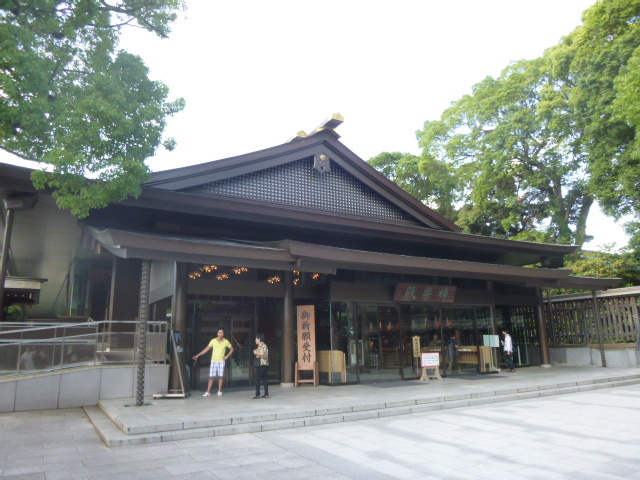 In order to spread the vulture and the heart of Meiji era in the present age,treasures are displayed,and there are the restaurant and free resting place for worshoppers. 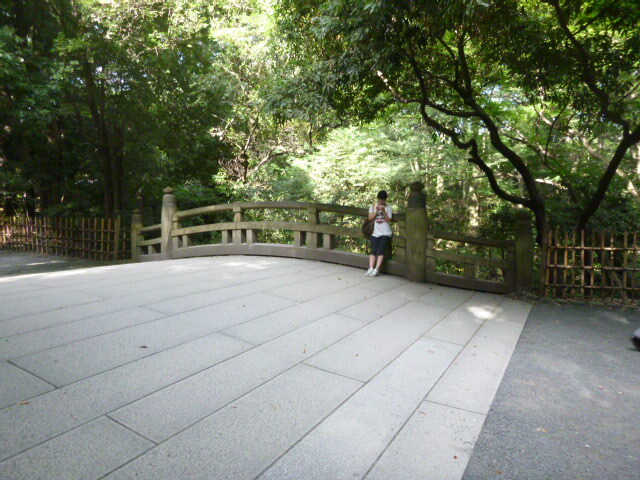 Emperor Meiji and Empress Shoken were very fond of this Garden.Irises in June areaespecially beautiful. 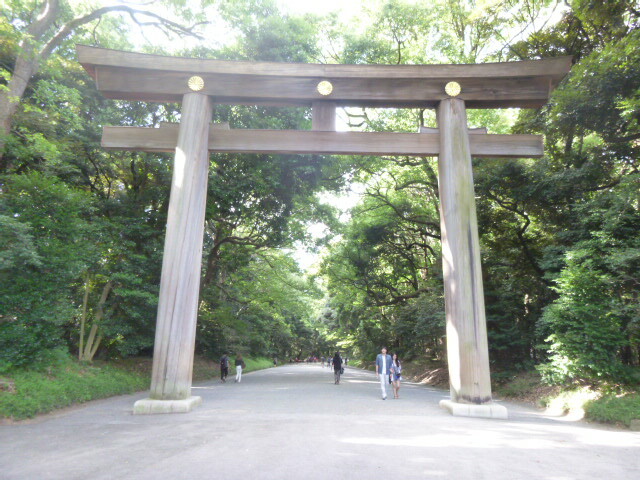 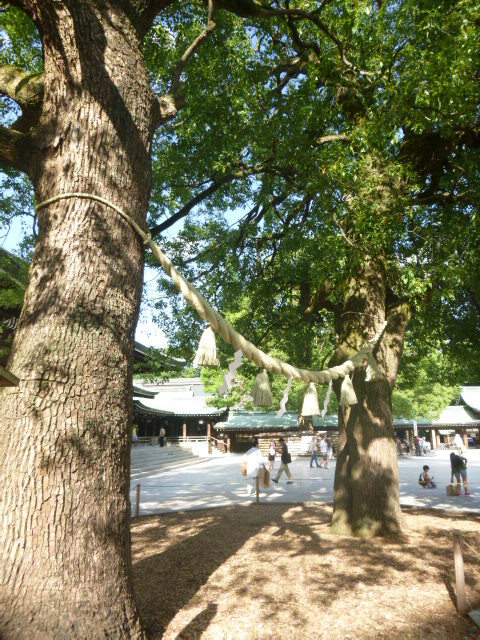 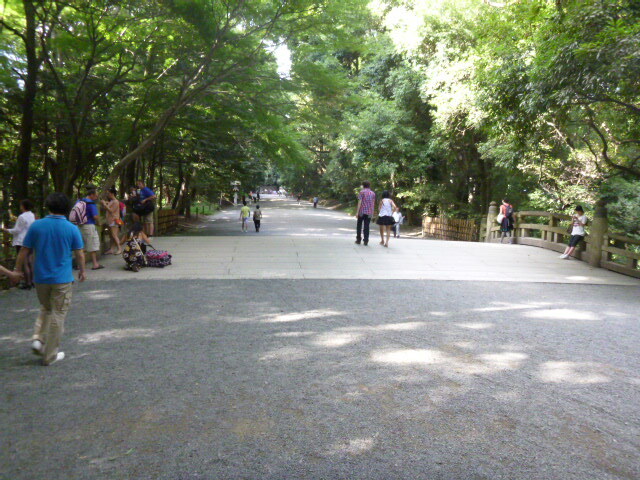 This was donated by the populace to Meiji Jingu in 1926. 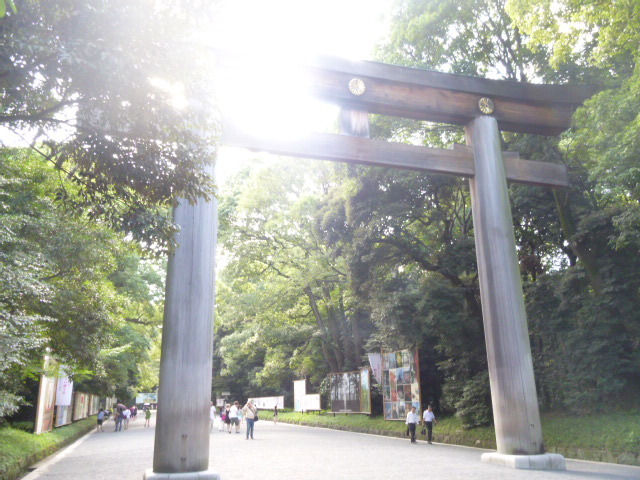 There are Emperor Meiji's funeral site,Meiji Memorial Art Gallery,great stadium,tennis courts,etc,,and it is internationally known as the sports center of Japan. 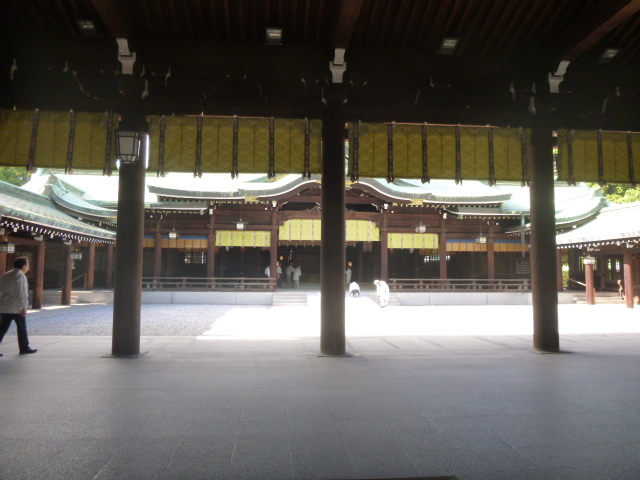 The Meiji Constitution was drafted in this building.Shinto weddings are performed here. 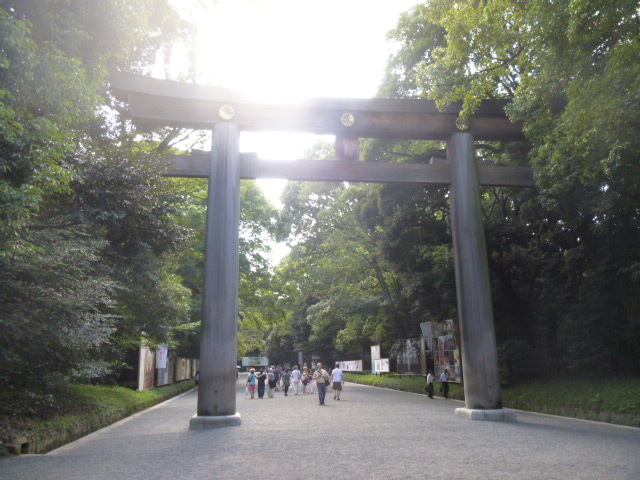 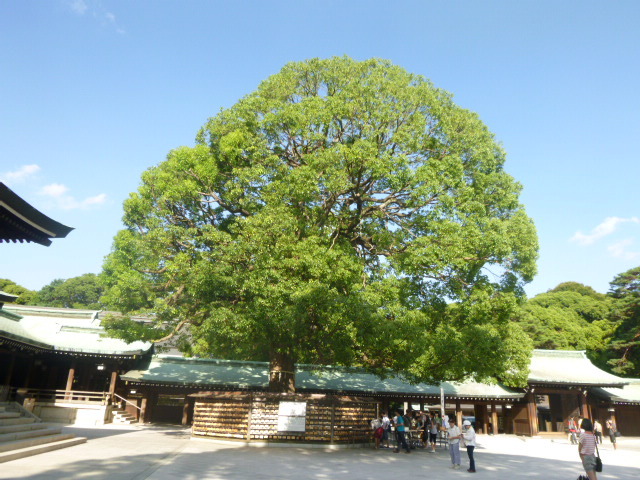 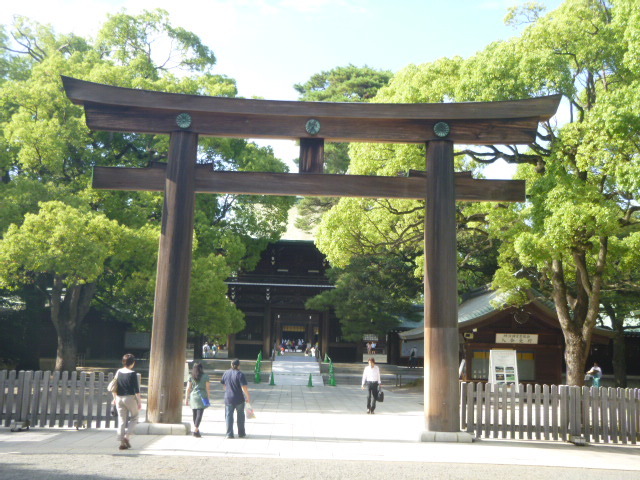 During the Meiji Era,Emperor Meiji,whose dibinga soul is enshrined here at Meiji Jingu,led the industrial growth and modernization of Japan by encouraging various industries and supporting technological deveopment. 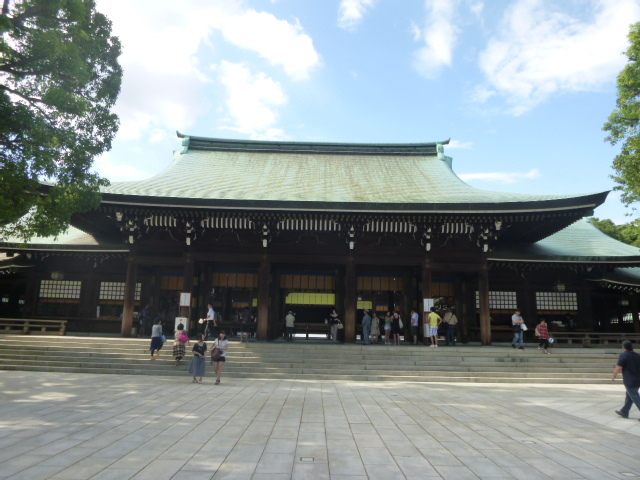 Due to their grace and virtue,Emperor Meiji and his consort,Empress Shoken,the beloved mother of our nation whose soul is also enshrined here,are held in the heghest esteem by the Japanese people. 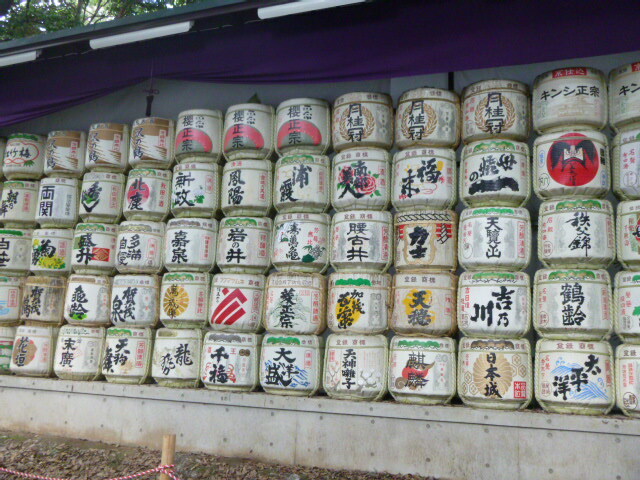 These asake barrels are offeres every year to the enshrined deities by members of the Meiji Jingu Zenkoku Shuzo Keisinkai (Meiji Jingu Nationwide Sake Brewers Association) including th Kotokai,which has made offerings of sae for generation,as well asa other sake brewers around Japan wishing to show their deep respect for the souls of Emperor Meiji and Empress Shoken. 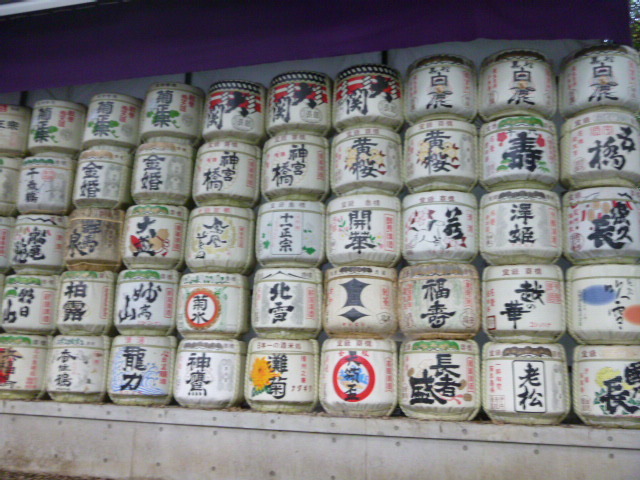 In addition to stating our humble gratitude to all of the brewers who have so graciously donated their sake,we also pray for the continuous prosperity of the sake brewing industry and all the other industries maintaining Japan's traditional culture. 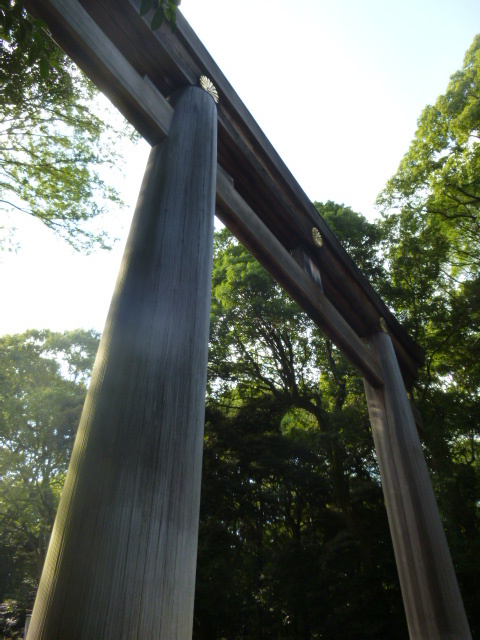 THE IS THE BEGGEST WOODEN "TORII" OF THE MYOJIN STYLE IN JAPAN,REBUILT AND DEDICATED BY A PIOUS BENEFACTEOR ON DECEMBER 23,1975,AND MODELED BOTH IN FORM AND SIZE EXACTLY AFTER THE ORIGINAL BUILT IN 1920,THE MATERIAL WOOD USED IS "HINOKI" (=JAPAN CYPRESS),1,500 YEARS OLD FROM MT.TANDAI-SAN TAIWAN. 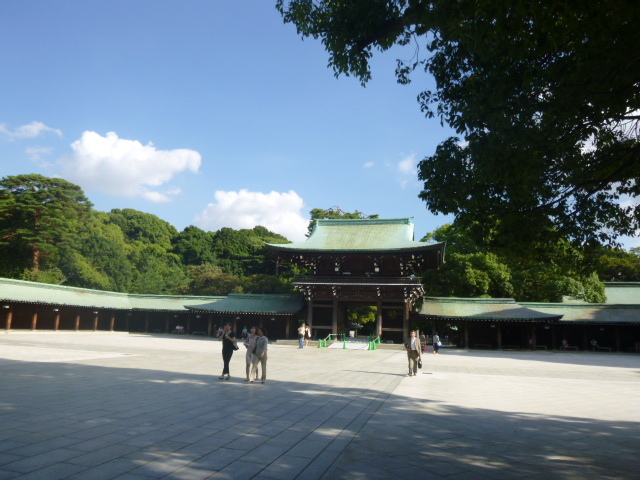 The Meiji period was an enlightened period during which a policy of "Japanese Sprit and Western Knowlege" was adopted, to learn from the best of Western culture and civilization while keeping Japan's age-old spirit and revered traditios.Emperor Meiji led the wayin promoting modernization by embracing many features of western culture in his personal life,such as shearing his topknot and donnig western attire,and in many other aspects of daily living.Among these departures,His Mafesty ser an example by taking western food and in prticulara by enjoying wine with it. 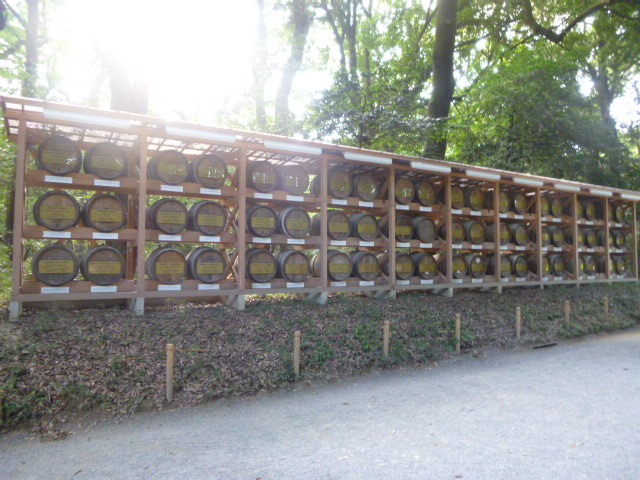 The barrels of wine to be consecrated at Meiji Jingu have been offered by the celebrated wineries of Bourgogne in France on the initiative of Mr.Yasuhiko Sata,Representative, House of Burgundy in Tokyo,Honorary Citizen of Bougogne and owner of th Chateau de Chailly Hotei-Golf.Profound gratitude is due to the winemakers who have so generously conributed to this precious gift to be consecrated here to the spirit of world peace and amity,with the earnest prayere that France and Japan will enjoy many more fruitful years of friendship. 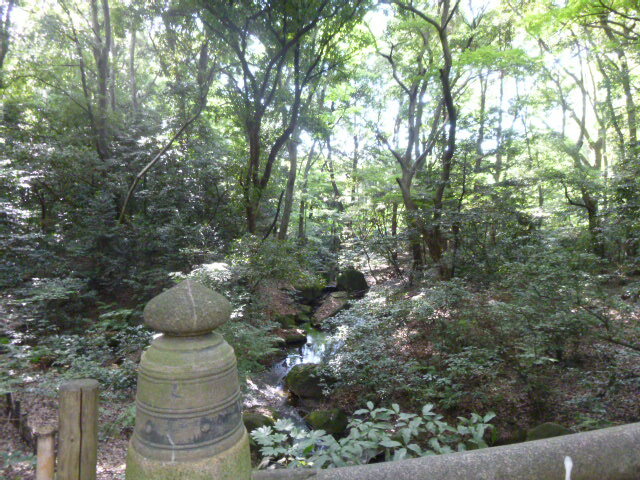 This Garden was originally a part of compounds of a daimyo yashiki (a feudal lord's mansion) owned by the Iis.Since the biginning of the Meiji Era(1868～) it became the Imperial estate and was put improvements into by the order of His Mafesty the Emperor Meiji. 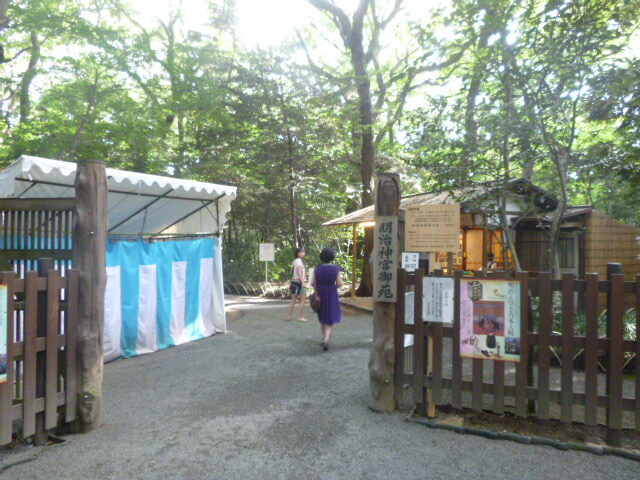 Her Mafesty the Empress Shoken as well as His Mafesty frequented this historic place. 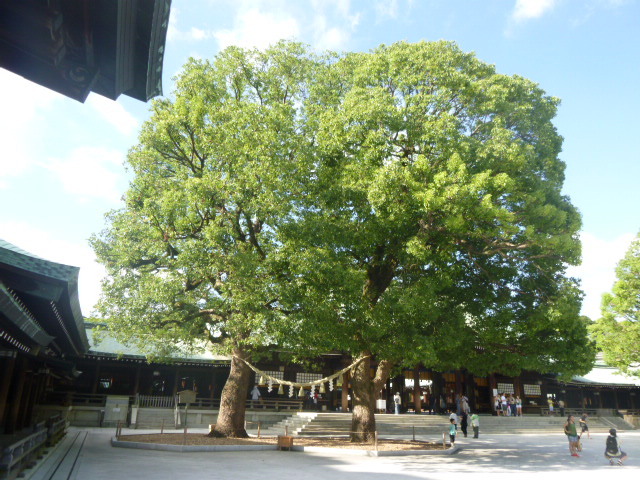 It spreads 83,000 wquare meters with the reminiscences of musashino fields.In it there are spots of interest such as Kakuuntei (a tea house),Otsuridai (a fishing platform),Azumaya (a resting huse),Minamiike (a pond), Shoduda (an iris field) and Kiyomasaido (a well),each of which never fail to attract you through the year whenever you visit,espesially at the changes of the four seasons.Among the glamorous groups of flower,irises in June is the bes to observe,which the late Her Majesty cherished a deep affection for.